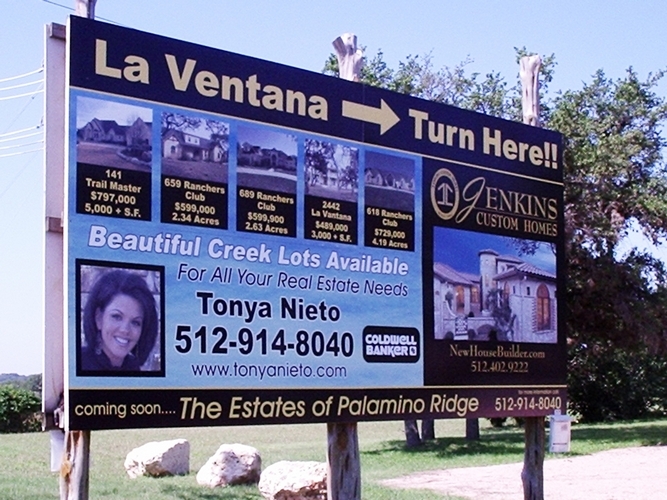 Apply your art and wording to cost-efficient corrugated plastic or sturdy aluminum to display on yard signs. Typical sizes include 18" x 24", 24" x 18", 24" x 36" and 36" x 24". Frames and stakes are available for each size. 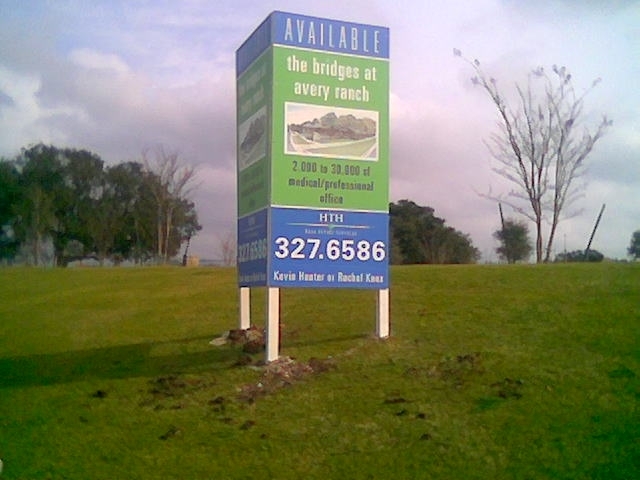 Broadcast your brand, property and project on larger MDO (plywood signs). Multiple shapes, sizes and finishing touches are at your disposal to communicate a legible, effective message. We also provide informational signs to announce the community rules.